The Ontario Educator Community at large is embracing 2018 with …. well, with words that will support, guide, and possibly teach them throughout the year. Yes, my friends, #OneWordOnt is back bigger than ever this year and to help spread the word (intended), #ECOOchat has invited #OneWordOnt to take over their next session! Essentially, #OneWordOnt is a community of educators who have decided to use one word to focus their attention and growth for the year. You can learn more about this community by reading this Introductory Post, by following the hashtag #OneWordOnt in Twitter, or by joining the G+ Community of bloggers. Please join me and the ECOO Board of Directors this Tuesday, January 9 at 8:00 pm for an #ECOOchat on Twitter for the conversation to inspire you to choose your #OneWord! It’s hard to believe another year is at its end and that it’s time to reflect on my #OneWordOnt for 2017. Remember how I told you about wanting my students to see the walls in their lives? The ones that interfere with their learning? The ones that hold them back from engaging in and with the broader community? The walls we grapple with everyday? “to participate, to be optomistic … to inquire, be curious and to challenge the status quo … To find hope instead of fear in the face of uncertainty” (Seth Godin). 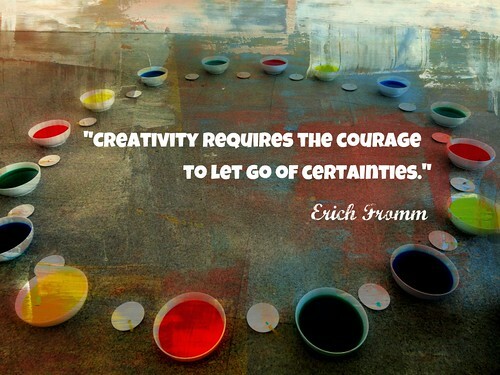 We began the semester with a frank conversation about creativity, openness, and fear. We created “Stories of Me” and posted them in a public gallery. We built blogs where we posted our thinking about the course content. We conferenced about our reading. We collaboratively annotated texts using Hypothes.is. We curated our best work into an Evidence of Learning Document. We made choices in our learning everyday. You know, decisions about criteria, about our learning goals, and where we needed to go next. But the choices remained narrow, superficial, conventional. So, we found the walls. We can see them now. We just didn’t tear them down. My next step is to find ways to empower enable students to make the choices to have the courage to tear down their walls. Three guesses what my word for 2018 is. The first two don’t count. I don’t regularly follow American news. Nor do I follow their politics of the day. Heck, I didn’t pay attention to the most recent U.S. election until after Trump won. It’s not my country. I can neither effect events that happen there nor can I be affected by the decisions made there (well maybe, but let’s not get into that now). I often don’t even join the Twitter conversations between American educators (or British or Australian) in my PLN. Too much of the context is different. But, I have been moved by Michelle Obama. The first time was this past summer when looking for mentor texts for the upcoming school year, I stumbled upon a Poynter post called “8 writing lessons from Michelle Obama’s DNC speech”. I was hooked. The writing, the delivery, and the passion of the speech reeled me in. So, when I saw mention of Michelle’s last speech as a First Lady fly by me in my Twitter feed on Friday, I didn’t hesitate to curate it for later viewing. This morning while making chicken soup, I listened and I watched Michelle Obama’s final message at the 2017 National School Counselor of the Year celebration. Don’t be afraid. Be focused. Be determined. Be hopeful. Be empowered. Empower yourselves with a good education, then get out there and use that education to build a country worthy of your boundless promise. Hers is a message for all students, in every corner of the planet. One that young people need to hear repeatedly. That’s the kind of hope that every single one of us — politicians, parents, preachers — all of us need to be providing for our young people. But it is also a message that clearly spells out students’ responsibility. But I also want to be very clear: This right isn’t just handed to you. No, this right has to be earned every single day. You cannot take your freedoms for granted. Just like generations who have come before you, you have to do your part to preserve and protect those freedoms. And that starts right now, when you’re young. Sometimes students (and adults) think that choice means freedom from facing obstacles in their lives and freedom to do only that which pleases them. Michelle Obama’s speech to young people shows us that’s not the case. Rather, we need to learn to make the choices that make hope possible. When my husband and I bought our first house, the first thing we did was tear down walls. We both love the spaciousness of an open floor plan, the generosity that the open room offers. When we shopped for our next house, we choose one with only one wall that sits at the midpoint of the room, dividing the main floor in half, but open at the ends. This house also has windows that give us a 360º view of the yard. Space and light merging to create an openness that reflects who I am and my general attitude to life. My classroom door is open. I work in the open (online and public). My work is openly shared. There is no struggle here for me. I have no walls to overcome. Many do, though, don’t they? We know that people put up walls for all kinds of reasons: lack of confidence, a sense of hopelessness, distress, fear. We know walls can protect us and provide us privacy, and we know they can also divide and isolate us. When we put up walls, we interfere with our ability to engage in the world, in our communities, and in our lives. You see this in your classrooms, as do I. This year I want my students to see their walls. This year I want my students to discover why they constructed the walls. This year I want my students to tear down their walls. Because this year, I want my students to be open to make choices in their learning. Attitude is the most important choice any of us will make. We made it yesterday and we get another chance to make it today. And then again tomorrow. To intentionally bring out the best in other people. We make the choice to inquire, to be curious, to challenge the status quo. To find hope instead of fear in the face of uncertainty. Of course these are attitudes. What else could they be? And of course, they are a choice. No one does these things to us. We choose them and do the work (and find the benefits) that come with them. Seth says it so well, doesn’t he? These are the choices we want our students to consider. My job is to find a way to get them there. To the other side of the wall. These words are part of the fabric of my soul. I have lived with each word, unravelled its nuances and connotations and woven its teachings into my thinking, perspectives, understandings, and beliefs. In choosing my word of the year, I need to reflect back, but I also need to think forward. What do I need to do more of? What do I need to think about? What is my next step? It’s true I have expertise in adolescent literacy. I have 15 years experience working with First Nations students. I am an early adopter (do we still use this expression in 2016?) of technology for blended learning. I do facilitate collaborative inquiries. I do teach high school English courses full time. This blend of skills and occupation has allowed me to move between “communities”, which has been an exhilarating experience. BUT, I have struggled with the question of focus, and that splitting my time has left me with the inability to dive into any one area deeply. 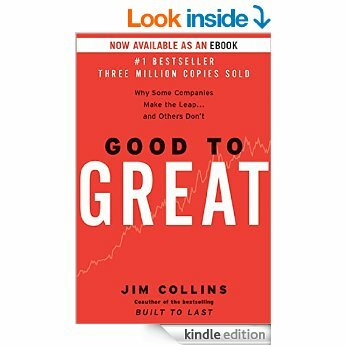 This month I read Good to Great by Jim Collins. I only read it because I had to to fulfill a family non-fiction book club commitment. Since Good to Great was already on my shelf (it had been given to me in 2012), I decided to give it a go. to say “no” to those opportunities that fall outside of one’s focus. I am simplifying for the purpose of this post, but it’s the idea that in order to be great (doing meaningful work that motivates you to create greatness), one cannot say ‘yes’ to every, indeed any, good idea, unless it falls in line with one’s core concept or focus. I am looking forward to 2016, and my learning around this idea of discipline. 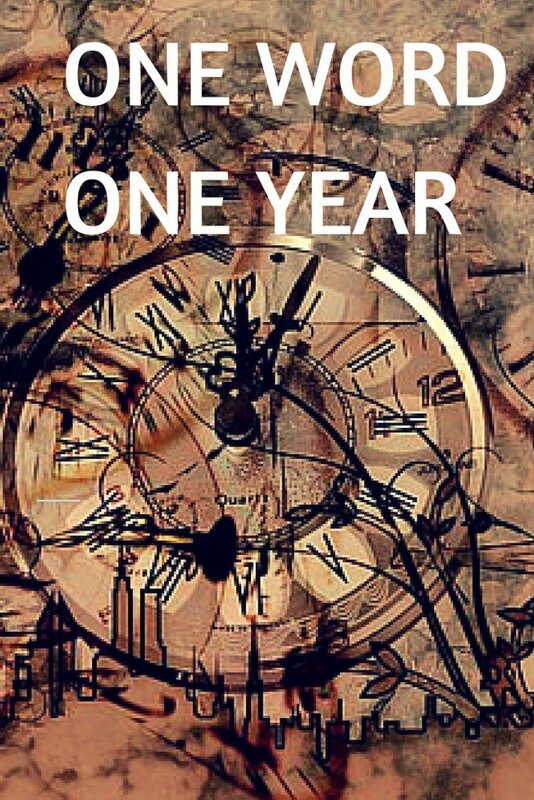 What is your #OneWord for the new year? Don’t forget to share it with #onewordONT by January 15th to be a part of Ontario’s collaborative word cloud! !